For whatever reason there always seems to be one main objective when it comes to a bachelorette party and that is to get wasted. Bar crawls to wineries – there is a chance there is some kind alcoholic beverage involved in your festivities. 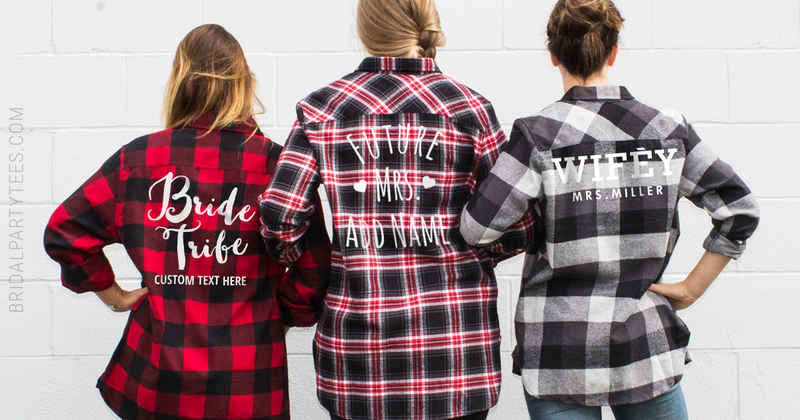 Some maids shy away from the obvious while others want to put it all out there and that’s exactly what these boozy bachelorettes did with their Getting Drunk bachelorette shirts! What we love most about these intoxicating designs is that this bridal party started from scratch. Instead of selecting a design and customizing from there, they chose their favorite product styles and colors and then completed their design. We cannot get enough of the originality of this concept especially because it’s such a huge trend we keep seeing in the bridal industry. 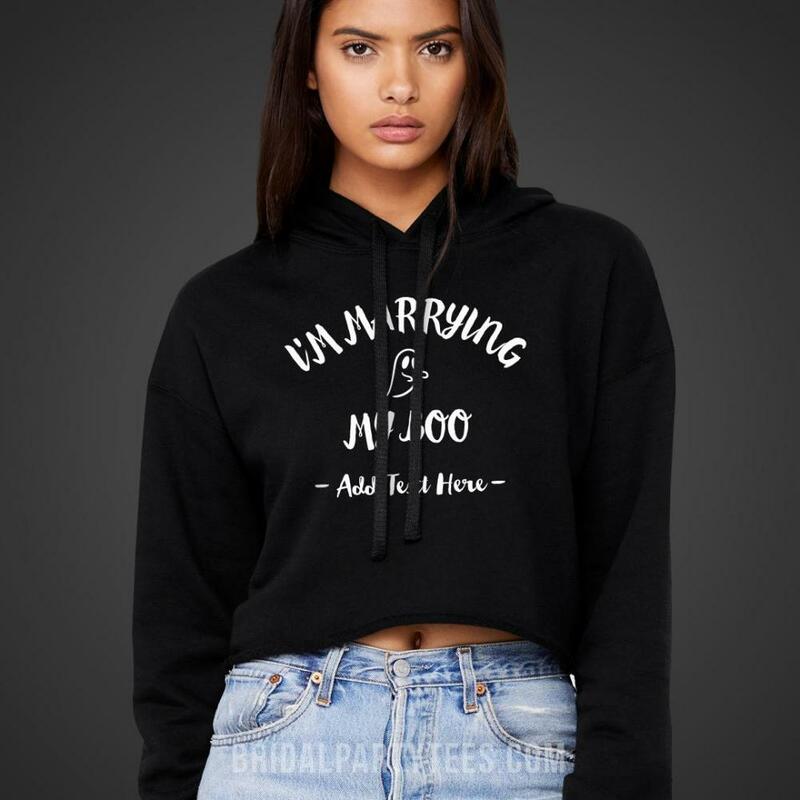 What is your favorite getting drunk bachelorette shirts saying? 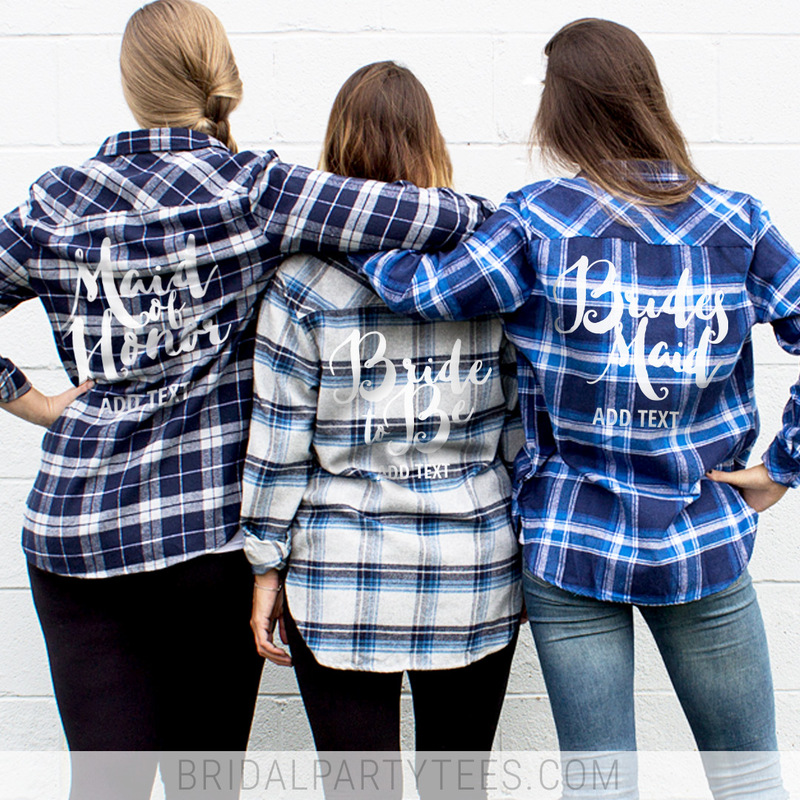 Share your thoughts and pictures with us via Facebook, Twitter, or Instagram @bridalpartytees! Are you a fall fanatic who can’t get enough of anything and everything Halloween related? Then chances are you are planning a Halloween themed wedding or bachelorette and we have to say we can’t blame you. While summer may be considered wedding season, fall is a close second and we totally can see why. This playful yet gruesome theme can make you stand out from all those other brides and who wants to be like everyone else? Be the envy of all other ghoul’s by designing Halloween wedding and bachelorette shirts! If none of these designs or sayings tickle your fancy then create your own by starting from scratch! Take any design in our gallery and customize it by simply clicking the “start customizing the design now” button. Swap out text and art like witches, ghosts, pumpkins, skeletons and many more pieces that scream Halloween. Then customize each shirt to specifically fit each individual person in your group without spending too much money! If you have a large group or designing shirts for six or more, you’ll automatically receive a group discount. Sounds frighteningly fun. This year we’ve added limited edition metallic orange foil to really set the tone with your custom Halloween wedding and bachelorette shirts. This colorful and shiny foil will only be available for a limited time so don’t miss out! What’s your favorite Halloween bridal saying or slogan? 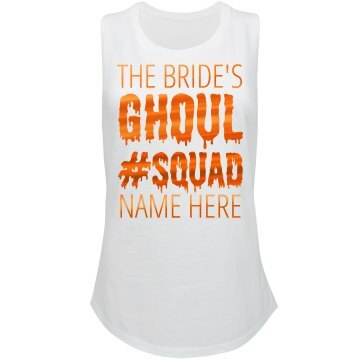 Tell us and make sure to show us your ghoul squad via Facebook, Twitter, or Instagram @bridalpartytees! Celebrate ghoul’s night out with custom Halloween bachelorette party shirts. Use coupon code below to save! Use coupon code BT3R3P at checkout and get $3 off orders of $30.00 or more! Offer expires 10/31/2017 at 11:59PM EST.